Connect Earth Day With Recycling Activities and Fun in Your Preschool Classroom! During the week of Earth Day, reinforce the concept of recycling to young children. Teach them about the concept of recycling through music and books. Explain why it is helpful to the environment. Then, encourage recycling within the classroom and at home, to get children involved. The original three “R’s” of education were Reading, ‘Riting and ‘Rithmatic. Now there are three more: Reduce, Reuse, and Recycle. They are buzz words with which children are probably quite familiar. Deepen their intrinsic embrace of these concepts by singing the song, “3 R’s” by Jack Johnson that was featured in the cartoon feature film Curious George. 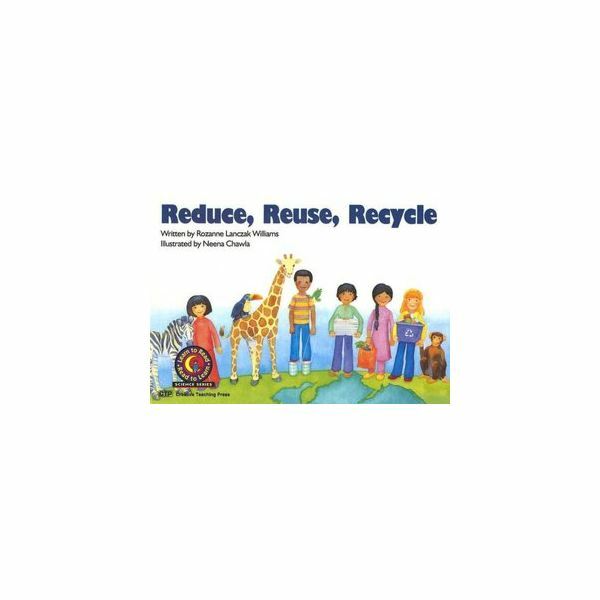 Read simple children’s picture books about recycling. Creative Teaching Press is an educational company that has an emergent science reader called Reduce, Reuse, Recycle by Rozanne Lanczak Williams [Creative Teaching Press, 1994]. It is an early reader, with repetitive predictable text that will also ingrain the concept into young minds. Plus children can easily “read” it by themselves. 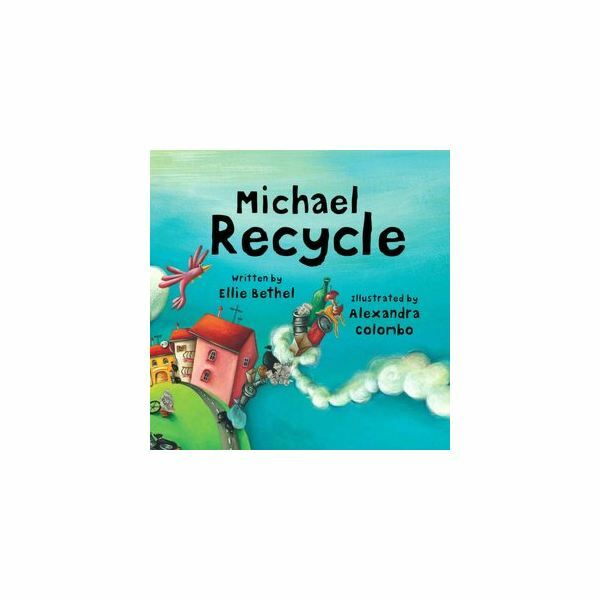 Michael Recycle [Worthwhile Books, 2008] is a fun book, technically geared toward ages four through eight, but still enjoyed by three-year-olds when read with enthusiasm, and not followed by prolonged discussion and sitting time. Michael is a sort of superhero who teaches kids how to recycle to save the earth. Children who have a good attention span will also enjoy Recycle! : A Handbook for Kids by Gail Gibbons [Little, Brown Books for Young Readers, 1996]. Gail Gibbons is good for providing scientific information for kids, with expressive illustrations, though for some children it is a little long for one sitting. Pick different parts to read at different times, and follow-up accordingly with discussions on how recycling can be done at home and in the classroom. Numerous other picture books are available on the topic. Check with your local public library and bookstores for even more titles. If possible, schedule a field trip to a local recycling station. Let the children see what actually happens to the items they recycle. Each recycling station is going to have different rules about where children can go and what they can do, so inquire about the program ahead of time. If possible, visit the facility yourself, to determine the appropriateness for your individual group. Set up a recycling center in the classroom. Have a large bin with [clean] “trash.” Include a variety of items that can be recycled, and a few that cannot. Mix them all into one basket for the children to sort. Recyclable items can go into a recycling bin, and the non-recyclable items can go into a different bin. Clarify which items can actually be recycled in your community, as it can vary from county to county and town to town. Then go through the “trash” and point out to children the features that make each item either recyclable or non-recyclable. When finished, put them back into the original container for the children to have a turn. Make the activity a little more abstract by using photographs of items to be sorted under symbols that represent recyclable and non-recyclable. Encourage the children to come up with their own lists, and write them down. Then, have the children practice recycling real items in their own classroom. Set up recycling bins that they can use to recycle paper from writing and art activities, and plastics from snack and lunch. Take field trips around the school to other classrooms, and even the office, to offer assistance with recycling needs. Let the parents know you are talking about recycling for the upcoming Earth Day. Send home a questionnaire about how many people recycle, and what items they recycle. Use the results as a graphing exercise. Encourage parents to allow their children to help sort the trash at home. The children can show off their new-found knowledge and contribute to the family with this job. Children could bring in pictures of themselves doing the recycling jobs. Families could also be encouraged to contribute items that cannot be recycled for use in the classroom. They can recycle old games and books by donating them to the school. Bottle caps and magazines can be used for collages in the art area. Baby clothes can be used for dressing up dolls. Old adult clothes can be used in the dress-up area. The possibilities are endless. Recycling is a life skill that should be used year-round, not just on Earth Day. Follow-up by maintaining the practices of recycling and reusing materials throughout the year. We have made your Earth Day celebration easy with facts, activities and crafts about Earth Day for Preschool.